Financial services firms are trialling the use of wearable technology as consumers and business clients seek new ways of using their services. An Australian bank is trialling the use of Google Glass to let customers view their balances without the need to log into accounts. 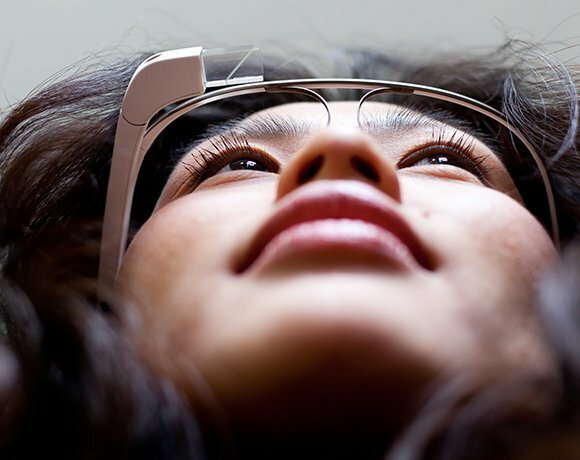 Westpac Banking Corporation’s New Zealand operation is testing its own app, used by customers to view balances, on Google Glass. Other wearable technology developments in the finance sector include the ability to check bank accounts on watches, along with rings that can alert traders to changes in the market. British firm Intelligent Environments launched a banking app for use with Pebble wearable smart devices. It is designed to help customers track their finances. Using the app and watch, users can check their current balance and recent transactions, and can use the app to set up warnings, such as a vibrating alert when they are close to their overdraft limit. Adrian David Cheok, professor of pervasive computing at City University London, told Computer Weekly last year that the university was in talks with a finance firm about trialling wearable technology in trading environments. Cheok and his team have developed a ring that can receive a message over the internet. This ring can be connected to an application that monitors big data. If there are changes in things such as stock prices, a message could be sent to the ring and the wearer alerted through the sense of touch. “[A finance firm] is looking to use the ring for real-time data for finance professionals because you can’t be in front of your terminal 24 hours a day. But there are certain stocks and indicators they have to always monitor,” said Cheok. “By having something very personal on your body, like wearable technology, 24 hours a day, they can, for example, get information about whether a stock is going up or down." According to Gartner, the strongest consumer base for wearable electronics is fitness enthusiasts, but wider interest in these devices is leading to broader adoption. The worldwide revenue from wearable electronic devices, apps and services for fitness and personal health is anticipated to be $1.6bn this year, increasing to $5bn by 2016. Finance sector has always been the biggest consumer of IT and new technologies closely followed by healthcare and retail!! This frightens me because of compliance and SEC regulations. How in the world can this be the first frontier of wearables? I would think the last area of business to adopt wearable tech would be the financial sector. *UNLESS they are getting on board now to evaluate how this technology might be regulated within their industry.